Math has always been complicated and the decimal places made it worst. As kids, I am sure that all the students hated when the numbers appeared with decimal points. Well the story has not changed much; we still hate data with decimal points. 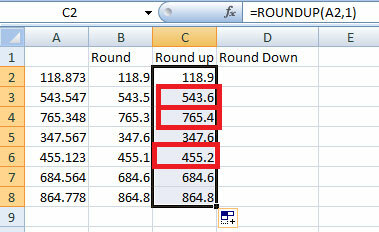 But now with Rounding functions of Excel, they don’t seem that difficult. So to make your life also a little easier, we bring you an article that will help you to use the rounding functions easily. 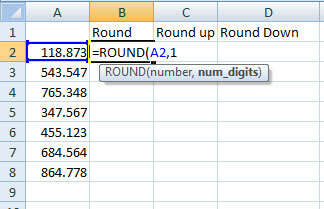 Round function helps you to round a specific number to the desired decimal places. Remember that 1, 2, 3, 4 shall be rounded down whereas 5, 6, 7, 8, 9 shall be rounded up. number The number that you want to round. num_digits The number of digits to which you want to round the number argument. 1. 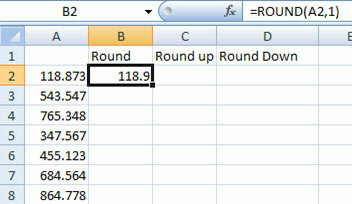 In our example below, we have data having 3 decimal places and we shall round it to 1 decimal using the Round function. 3. Press enter and your number will be rounded off. 4. Drag the fill handle or double click and you will see that all your cells have been rounded off. 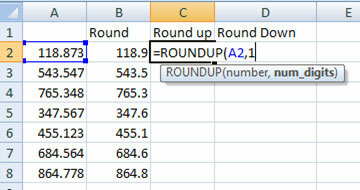 ROUNDUP function rounds the number up that is away from zero. 2. After pressing enter and dragging the fill handle, you will see that your data is rounded up. You will notice that even though some numbers (marked red) have decimal value below 5, they are rounded up to a higher value. 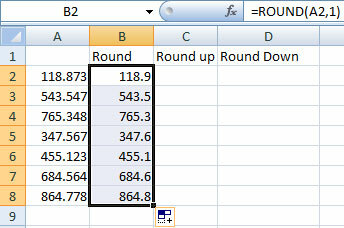 ROUNDDOWN function rounds the number down, which is towards zero. 1. 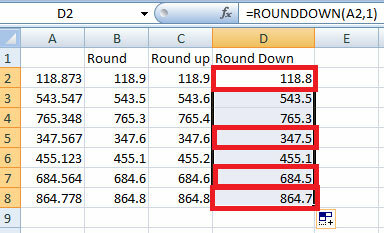 In the same example, we shall now use the ROUNDDOWN function. Again, the values in the formula shall remain same. 2. After pressing enter and dragging the fill handle, you will see that your data is rounded down. You will notice that even though some numbers (marked red) have decimal value above 5, they are rounded down to a lower value. When you want to round off the number to the nearest 10, then use -1 in the num_digits and your cell will be rounded off as shown in the image below. When you want to round off the number to the nearest 100, then use -2 in the num_digits and your cell will be rounded off as shown in the image below. 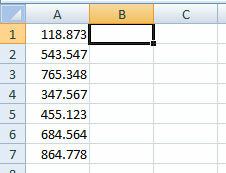 Similarly, you can round off numbers to the nearest 1000, 100000 etc by using -3, -4 and so on. If you have any suggestions or queries, mention them in the comments box below.